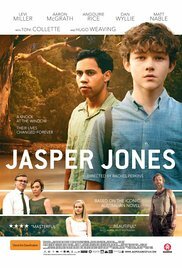 Director Rachel Perkins’ latest film, Jasper Jones, is a powerful and suspenseful coming-of-age drama that will undoubtedly join the likes of Muriel’s Wedding and The Adventures of Priscilla, Queen of the Desert in the canon of great Australian films. Adapted from Craig Silvey’s novel of the same name, the film opens in 1969, when young Charlie Bucktin (masterfully brought to life by Levi Miller) is woken in the middle of the night by a tap at his window. The culprit is the titular Jasper Jones (Aaron L. McGrath), an outcast in the small West Australian town of Corrigan due to his racial heritage. With this tap on the window, Charlie’s naivety and innocence will soon be shattered as one shocking secret after another is revealed. Though the film opens with a truly stunning shot of a straight gravel road in the Australian bush, its storyline is anything but straightforward, as we uncover not only the truth of what has happened to local girl Laura Wishart, but also what really goes on in the town itself. The scenery throughout the film is consistently striking, featuring a uniquely Australian landscape which only serves to emphasise the universality of the film’sthemes. These themes, which include racial and sexual abuse, are quite dark, yet never overwhelm the viewer due to Perkins’ expert ability to temper them with more light-hearted moments. This is not to say she shies away from portraying them honestly; indeed, one of the very first scenes is especially confronting (yet not sensationalised). The indifference and outright brutality shown towards the town’s lone Indigenous resident, Jasper, and the sole Asian-Australian family, Mr. and Mrs. Lu (played by Ferdinand Ho and Gabrielle Chan, respectively) and their son, Jeffrey (Kevin Long), are also quite shocking. As we delve deeper into the town’s secrets, it seems the only thing that the residents are open about is their prejudice. Initially, only Charlie seems to see this injustice, railing against Mrs. Lu’s treatment by another community member. However, more hopeful moments occur when Jeffrey is allowed to play his beloved cricket and seems to finally be accepted by the community, as well as the actions of Charlie’s father (Dan Wyllie) when he defends the Lu family from a subsequent attack. The viewer also trusts Perkins with the representation of women within the film. In a refreshing twist, all of the female characters have agency. Eliza (Angourie Rice), the ‘love interest’, is a capable and complex young woman who not only holds the answer to Laura’s death but also has a significant effect on the conclusion of the film. Even minor characters, such as Eliza and Laura’s mother, played by the underrated Susan Prior, make choices which determine the outcome of the film. The technical aspects of the film also deserve mentioning. Music is used sparsely to great effect – either that, or it blends so well into the background of our unconscious perception of the film that we don’t notice it, which is exactly how a film score should work. The mise-en-scène is also excellent: when Jasper and Charlie first meet through the shutters on Charlie’s window, for example, they are in darkness with both faces partially hidden, introducing the viewer to the larger theme of hidden things and uncovering the truth. Admittedly, there are some weaker patches where the film falters and seems to lose a touch of momentum, but it soon recovers due to the remarkable work of Levi Miller. Indeed, he and the two other main young protagonists are undoubtedly the stars of the film, which is quite a feat considering the calibre of the adult actors. Happily, the film leaves viewers on a hopeful note despite the tragedies which have occurred, as we share in Charlie’s optimism for the future. 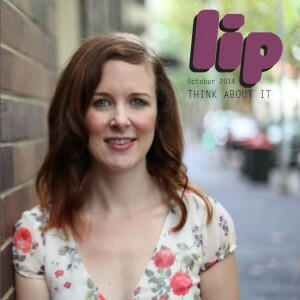 Sarah Randall is a Geelong-based writer who is passionate about books, films, and feminism. Find her on Facebook at https://www.facebook.com/sarahrandallwriter.